INSTAGRAM is the Fast way to share and create beautiful photos taken from your iPhone. It’s a fast, beautiful and fun way to share your life with friends through a series of pictures. Via NY Times: "Speculation in technology circles that Yahoo might close or sell Flickr, its photo-sharing service, prompted an emphatic denial this month." Watch the full episode. See more NOVA. We all admire and learn from David Pogue. Now, a broadcast television event that you must gather the entire family together to view - David Pogue's latest muse will inspire you and your children. Nova "Making Stuff" Pogue Talk + Premiere Screening. NY Times columnist David Pogue will give a funny behind-the-scenes talk about making his new PBS miniseries "Making Stuff" (http://to.pbs.org/bE6Oer). Then, at 9PM, watch the premiere of the first episode on the big screen! Date: Wednesday, January 19 · 8:00pm - 10:00pm More info. Location: Weiss Café, Rockefeller University, 1230 York Ave.
Invisibility cloaks. Spider silk that is stronger than steel. Plastics made of sugar that dissolve in landfills. Self-healing military vehicles. Smart pills and micro-robots that zap diseases. Clothes that monitor your mood. What will the future bring, and what will it be made of? In NOVA's four-hour series, "Making Stuff," popular New York Times technology reporter David Pogue takes viewers on a fun-filled tour of the material world we live in, and the one that may lie ahead. Get a behind-the-scenes look at scientific innovations ushering in a new generation of materials that are stronger, smaller, cleaner, and smarter than anything we've ever seen. 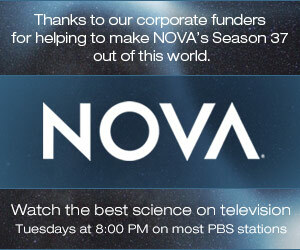 Beginning January 19, 2011, NOVA will premiere the new four-hour series on consecutive Wednesday nights at 9 pm ET/PT on PBS (check local listings): "Making Stuff: Stronger, Smaller, Cleaner, Smarter." From the Stone Age, Bronze Age, and Iron Age to more recent periods dominated by plastics and silicon, materials have defined the progression of humankind. Now, we are once again poised on the verge of a materials revolution, as researchers around the globe push the boundaries further than ever before, using biology and chemistry to imbue materials with new qualities that are expanding our technological frontiers. "Few people realize it, but materials are the basis of our civilization—the Stone Age, the Iron Age—and materials are what will take us into the future," says Paula S. Apsell, Senior Executive Producer for NOVA. "David Pogue is a highly entertaining and tech-savvy guide during a fascinating four hours full of potential breakthroughs that will shape our future." What is the strongest material in the world? Is it iron? Are Kevlar and carbonnanotubes the way of the future, or will the powerful properties discovered innatural spider silk one day replace steel? NOVA begins the ambitious four-hour program with a quest for the world’s strongest stuff. How small can we go? Could we one day have robots taking “fantastic voyages” in our bodies to kill rogue cells? The triumphs of tiny are seen all around us in the Information Age: transistors, microchips, laptops, cell phones. Now, David Pogue takes NOVA viewers to an even smaller world in Making Stuff Smaller, examining the latest in high-powered nano-circuits and microrobots that may one day hold the key to saving lives and creating materials from the ground up, atom by atom. Pogue explores the star materials of small applications, including silicon, the stuff of computer chips, and carbon, the element now being manipulated at the atomic level to produce future technology. “Smaller” and more portable stuff has already revolutionized the way we live. The nanotechnology to come could change the face of medicine, with intelligent pills that know what medicine to release into the body and treat patients from the “inside” based on changing needs; robots that repair damaged body parts; and more. Most modern materials are dangerous to the environment, but what about cleaning up our world? Batteries grown from viruses, tires made from orange peel oil, plastics made of sugar, and solar cells that cook up hydrogen–these are just a few glimpses of a new generation of clean materials that could power devices of the future. In Making Stuff Cleaner, David Pogue explores the rapidly developing science and business of clean energy and examines alternative ways to generate it, store it, and distribute it. Is hydrogen the way to go? One scientist is even using America’s abundance of chicken feathers to create a cheap way to make hydrogen cars safer. What about lithium batteries? Does this solve an energy problem or create a new dependency–in this case, on South America for a different kind of limited resource than oil? Can scientists instead develop a process in which batteries run on molten salts found in cheap abundance in the U.S. or on genetically engineered viruses? Pogue investigates the latest developments in biobased fuels and in harnessing solar energy for our cars, homes, and industry in a fascinating hour full of the “stuff” of a sustainable future. What can nature teach us in building smarter materials? Can we create materials that sense and respond? “When describing ‘smart materials,’ one analogy scientists give is the evolution from the first Terminator robot, a machine made of metal and circuitry, to the shape-shifting ‘liquid guy’ in Terminator 2,” said Making Stuff producer Chris Schmidt. Smarter looks into the growing number of materials that can shape themselves–reacting, changing, and even learning. An Army tanker trunk that heals its own bullet wounds. An airplane wing that changes shape as it flies. Clothing that can monitor its wearer’s heart rate, health, and mood. For inspirations and ideas, scientists are turning to nature and biology and producing some innovative new developments in materials science. The sticky feet of geckos have yielded an adhesive-less tape. Studying the properties of skin has led to the development of self-healing protective foam. And Pogue literally goes swimming with sharks to understand a different kind of skin that is intriguing scientists. Scientists are modeling a material after sharkskin to develop an antibacterial film that, when sprayed in hospitals, could eliminate MRSA and other anti-biotic resistant bacteria from clinging to surfaces. Pogue concludes “Smarter” with a visit to a scientist who has created a material that may make Harry potter’s invisibility cloak a reality! At 225,282 tons, Royal Caribbean's just unveiled Allure of the Seas is tied with its one-year-old sister, Oasis of the Seas, as the world's largest cruise ship. What's the 5,400-passenger vessel like? Eric Bungay of WTSP-TV in Tampa Bay, a sister news outlet to USA TODAY, offers Cruise Log readers a comprehensive, nearly 17-minute video tour of the vessel, which has set sail this week on its first seven-night voyage with paying passengers (click on the video screen above to watch it). ScanMyPhotos.com makes it easy to share and preserve your Valentine's Day memories and Valentine's Day photos with personalized photo gifts, including custom photo books and personalized photo cards. Reuters has confirmed that the 2011 Super Bowl commercials will cost around $3 million dollars for a 30 second spot. CBS claims that 90% of the ads have been sold. PEPSI has said it will run atleast six commercials and GM has announced that they will be back after a two year hiatus. Coca-Cola and Anheuser-Busch have yet to confirm the number of commercials. ritos is also expect to “crash the super bowl”. Question: What is super fast, allows you 'do-it-yourself' simplicity to share pictures and make things from your iPhone and FACEBOOK photo library? How can you design giant photo collages, create photo albums, restore faded snapshots and make Kodak-quality photographic reprints from your recently scanned pictures and digital memories? Answer: KODAK Picture Kiosks. Now, it is faster and there are no lines to unlock saved photos on your camera phone and FACEBOOK library to share your favorite photo memories. With the same ease of booking a reservation at your favorite restaurant, a new instant online reservation service is now available - just for picture-takers at ScanMyPhotos.com in Orange County, California to reserve private access to pull up a comfortable bar stool and take claim to access individually reserved KODAK Picture Kiosks. Starting today, with the launch of online photo kiosk reservations, there is never a wait at the ScanMyPhotos.com retail photo center in Irvine. Access to digital photography is as fast as all the new ways to share pictures. In the past, these innovations often have led to long lines. "Part of my reason for trusting the Kodak brand (since 1990) was because the worldwide leader in digital imaging made sharing photos so simple. The new KODAK Picture Kiosks have been updated with instant access to FACEBOOK and KODAK Gallery users' library of photos. But, these and other new upgrades are causing ardent consumers to cue up and it is drawing lines of avid photo enthusiasts," explained Mitch Goldstone, president and CEO of Irvine, Calif.-based ScanMyPhotos.com. "While the popular picture-memory making kiosks are lightning-fast," Goldstone said he "wanted a restaurant-like reservation system to equally speed up access. Offering online reservations now compliments our guests' entire experience for smoothly maintaining easy access without lines." 1) Kodak's Social Network Connectivity feature accesses and prints your favorite pictures from FACEBOOK, KODAK Gallery and PICASA WEB ALBUMS. No need to carry pictures when you can access them online from the kiosk. 2) Kodak's Pet Eye Retouch feature removes and instantly corrects glare from your pet's eyes. With the press of a button, your pet’s revert back to its natural color - no more giant white eyes. 3) Kodak's Facial Retouch feature removes or reduce facial blemishes, acne and wrinkles. Facial blemishes and wrinkles are electronically smoothed and reduced. 4) Kodak's Video Snapshots feature is the easiest way to print photos from your digital videos. 5) Kodak fixes your photos. With the push of a button you turn faded photos into richly colored images that you can print and share with family and friends. Q: I'm having problems placing an order. A: Sometimes it is as simple as using a different web browser. We recommend using the most current version of Internet Explorer for PC users and Safari for Mac users. If you still have problems, please contact us via Live Support so we can instantly help you diagnose the problem. Q: Can you scan slides or negatives? A: Yes we can but the high speed scanning is only available for print scanning. We scan slides and negatives as a separate service. The cost varies depending upon quantity and resolution. For more info, please visit our slide or negative scanning sections. Q: What resolution are my photos scanned at? A: All photos are scanned at 300 dpi. The final file size will vary depending upon the size of the original photograph. A standard 4x6 usually is about 1 to 1.5 MB in size. Many websites refer to resolution as a pixel by pixel notation. To determine what your own picture's pixel-by-pixel resolution will be, multiply the inches by 300 dpi. For example, a 4"x6" print will have a resolution of 1200x1800 (4" x 300dpi = 1200 pixels, 6" x 300dpi = 1800 pixels). Q: Can you scan my photos at a higher resolution? A: No, we only scan photos at 300 dpi for bulk scanning. 300 dpi is ideal for making reprints and slightly larger enlargements from your images. These JPEG scans are also ideal for sharing with others and using as Power Point and other video presentations. Higher resolution or files saved as TIFFs typically are larger files that the average person doesn't need and it can slow down your computer due to these larger files sizes. We have been leaders in the photo industry since 1990 and are experts on helping to protect your photo memories and we recommend 300 dpi files for nearly every application. Q: Can I see sample scans? A: For samples, click here. Q: Are my photos returned to me? A: Yes, your photos are returned to you along with the digital DVD data disc of your scanned photos. We do not offer a service dispose of or keep your photos. All photographs will be returned with your order. Q: Are my bundled photos returned to me in the same bundles? A: While we try to keep your bundles of photos together, there are times when this is not feasible. We need to fit the photos back in the box for return shipping along with the DVD and any other additional options you may order. This means we may need to break apart bundles. We will not shuffle your photos like a deck of cards but your photos may not be in the same order you sent them to us in. Q: How long will it take to complete my scanning order? A: Photo scanning is typically completed and mailed back the same business day it is received. Based on your quantity of slides or negative scanning, it typically is completed within several days and mailed back the same business day it is completed. Please note that we do not have any control over the United State Postal Service or any other courier or transport companies and therefore cannot be held responsible for delivery times to or from our location. Most services, including photo picture scanning, reprints, enlargements, photo memory books and photo cards are rushed with our super-fast same day service. Photo restorations and slide and negative scanning orders take just a little bit longer depending upon the individual order. We do feature a Rush Next Up Scanning Service, which moves you to the top of the line; see the Pay-per-1,000 order form to choose this feature. Q: Where are my photos scanned? A: All orders photo scan orders are processed the same day at our Irvine, CA headquarters, founded in 1990. Due to the extra work associated with slides and negatives, the turnaround time might be longer than one-day and all that work is also processed and fulfilled in Orange County, CA. The only orders sent overseas are to our customers abroad who send us their orders for processing, and those orders are also scanned and mailed back internationally the same day too. Q: Can you custom name my files or put my images into separate folders on the DVD? A: Due to the high number of photos that are scanned in an average order and our daily scan totals, we cannot offer to custom name your scanned images or separate them into folders. We start every order at 00000001.JPG and continue until the last photo scanned in numerical order. You can easily rename your files after you receive the DVD back. We recommend that you use any number of free file renaming software that is available that will automatically rename your files once copied to your hard drive. You can find quite a few at VersionTracker.com by searching for "file rename ". Q: How much compression do you use when saving the pictures in JPEG format? A: Due to the high number of photos that are scanned in an average order, we use what would be considered a medium compression rate to ensure that we can fit the most images on a disk without loosing quality. Q: Will the order of the scanning be the same as the photos in the box? A: Scanning your pictures in a specific order requires an additional fee. If you do not wish to pay for this additional option, your entire order must be organized by size. Q: What is the difference between your prepaid box and the $79.50 fee to scan 1,000 photos? The product life-cycle is an important concept in understanding the long-term environmental impact of a product. If you don't consider the whole life-cycle, you may not understand the environmental impact of choosing one technology over another. CES Kodak K-Zone: Citizen Journalism -- What's the News got to do with it? With the skyrocketing growth in citizen journalism fueled by the proliferation of social media and mobile outlets, how do you separate real facts from personal opinions? Via KodakTube: The next generation is shaping the tech revolution. What is their impact and how are they determining what is to come? I sent in 947 prints and received them back within 5 days [from ScanMyPhotos.com].. They were so fast! Everything was organized and packaged very well so as not to harm my photos. The disc contained everything. The scans were very nice and easy to view and organize. ScanMyPhoto.com handled everything in a very professional way and the guidelines w...ere very simple and easy to follow. I am so grateful! Now I have six years worth of photos that I can use to create photo books for my family. Thank you! Just a note to thank you and your staff for the excellent work and timing for our family with the video. We are having two memorials for my husband, one in San Diego and one in San Jose and everything came in in time for us to process with our Church. Thank you again for all you have done and also for the book of pictures of my guy of __ years!! Sincerely, Heidi F.
The Photo Marketing Association (PMA) unveiled its CliQ website, a new branded experience for photo enthusiasts and anyone interested in getting the most from photography and video. The CliQ website, located at cliqworld.com, features how-to tips, new product reviews from DP Review and monthly photo contests. In the coming months, more features will be added, leading up to an annual event in September. The establishment of CliQ will bring extensive changes to the PMA annual convention and trade show, scheduled for September 6-10, 2011, in Las Vegas, Nevada. PMA has renamed the expanded event CliQ 2011. The show will now feature presentations from well-known photographers like Jasmine Starr, Scott Bourne, Tracey Clark and Stacy Pearsall, as well as workshops, photo walks and seminars that will be part of the CliQ experience, along with entry to the photo trade show. The show itself will include interactive zones spotlighting technology, tips and techniques in these major areas: the Shooting zone with demos by leading photographers of still photography; the Mobile zone, which will spotlight the hottest and best mobile phone apps; the Software Tutorial zone where visitors can learn the ins and outs of leading desktop and Web photo applications; the Innovation zone that will highlight new and emerging technologies; the 3D zone that will feature digital 3D photography and video; and the Video zone, which will showcase one of the fastest-growing areas in imaging today—HD and SLR videography. The annual show will also offer custom-picture framing and the GoingPro Bootcamp photography business seminar. After the launch of the new CliQ brand experience, some PMA retail members and labs have rightfully asked, “What’s in it for me?” We’ve distilled some of the most common questions down to this Q-and-A. As always, members are encouraged to call or email PMA for the straight scoop. Also, this week’s special DIMAcast and AIE Imaging Executive podcast features PMA executive director Ted Fox explaining what CliQ is, from a trade perspective. Q: What does CliQ have to do with PMA 2011? Is it a show? Are there trade days? A: The new name for PMA 2011 is “CliQ 2011.” There will continue to be pre-show, trade-only sessions, as in the past. In addition to trade sessions, there will be programming for enthusiasts and aspiring pro photographers, beginning Sept. 9. Tracks will be labeled for photo retailers, custom framers, etc. The show floor will be open Sept. 8-9 for trade only and Sept. 10 for enthusiasts, aspiring pros, and trade. The show will also have special features for PRO and IPI members. We are also adding special “zones” on the show floor including an Innovation Zone featuring the latest in 3D, Video and other innovative technologies; a Mobile Imaging Zone focusing trends and new apps for mobile devices; Software Tutorial Zone featuring demos on the latest photo manipulation, color management and workflow software; Shooting Zone featuring experts demonstrating advanced photography techniques; “Take it to the Wall” Exhibit featuring the coolest in canvas and custom framing. Q: Is CliQ an association for enthusiasts? A: Think of CliQ as more like a web-site account, allowing access to website features and discounts. A CliQ account does not make an enthusiast a PMA member, but the $25 does provide them some pretty nifty discounts and a one-day pass to the CliQ 2011 event, Sept. 10. Soon, their account will provide them with other website features, related to contests and photo critiques. PMA trade members are automatically members of CliQ, with access to the same discounts. This is now built-in to your dues. Retailers and lab members are also welcome at CliQ enthusiast sessions. Q: What kind of discounts will CliQ offer? Some other associations are providing discounts direct from manufacturers. A: PMA doesn’t plan to compete with its own members. Discounts will be for magazines, learning resources like Lynda.com, and selected software products. Also, keep in mind, as a PMA member, you can take advantage of these same discounts. Q: What about prizes in the first photo contest on Facebook? A: CliQ will offer prizes provided from a variety of sources. Soon, if a local retailer wants to provide a prize, we’ll accommodate that, too. Q: Seems like PMA is cozying up to the big guys. I don’t get how CliQ benefits the independent retailer. A: That’s a natural response, and not unexpected. CliQ is not fully formed yet, but is moving very quickly. The site was launched with the intent of adding new features and new services over the next few weeks. CliQ aims to be the source for all things photography for a community united by their shared passion for still and motion images, and that community includes local retailers. (In fact, check out the main page of the CliQ site, where that’s stated.) We will be connecting photo enthusiasts to local photo and video events including a retailer classes, photo walks and the like. We will be launching other opportunities to connect PMA member retailers to CliQ account holders and they will encouraged to participate in CliQ events and programs at every level. This is what 20-yrs in the photo business gets. Thanks Michelle! Link to "See Michelle Blog". Then I checked my secondary email account and found an amazing offer from ScanMyPhotos.com. They saw my blog review and offered to scan my negatives free of charge. The customer service rep (Bryan) said that although ScanCafe was a competitor, they wanted to make sure that my memories could be preserved and asked that I send my negative to them and they would try to scan them. This email was sent in September. I didn't read the email until November! And of course, my frantic self could not find those negatives for the life of me. I was so upset....again. I emailed back and said that while I would love to accept their offer, I could not find the negatives but I appreciated their kind and generous offer. And then I forgot about it until one day, when I opened a drawer in my house and what was there? The bag of negatives, still in place from when they were mailed back to me from ScanCafe. I jumped on the computer, emailed Bryan and asked if he would still honor his email. He got right back to me and said yes! I mailed them on Monday December 27, they arrived in Irvine, CA on Wednesday December 29 and the cd arrived in my mailbox Monday January 3. He promised a quick turnaround and he was right! I was nervous and not expecting much. ScanCafe said they were damaged so I thought maybe all the same pictures would be scanned. I was wrong. 265 pictures. Perfectly scanned. Clear as day. I nearly started crying. I spent the night uploading all the pictures to my flickr account, sorting them into sets and this weekend I will get started on the project that I was hoping to have done by Christmas. ScanMyPhotos.com, you guys rock. I can't thank you enough for this amazing gift. In the future, if I need negatives scanned, I will only be using your company and I will pass on this review to others so they know about your awesome services.